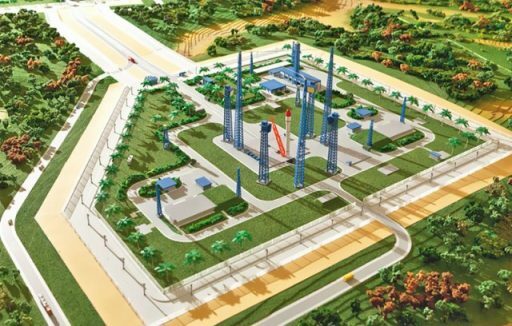 In a press release issued on Thursday, Yuzhnoye announced it has been authorized by the State Space Agency of Ukraine to establish a Cyclone-4 launch base in North America. According to the company, the search for business and investment partners is well underway and on-site assessments of possible launch complex locations were completed in the U.S. and Canada. 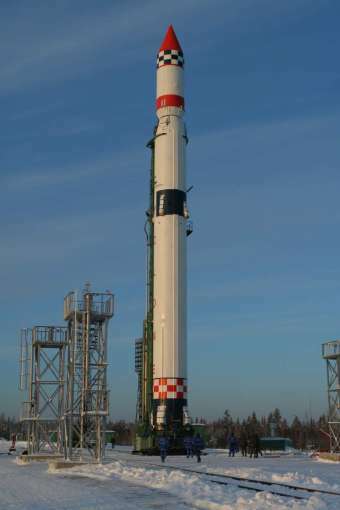 Cyclone 4 is being advertised as an all-Ukrainian launch vehicle with highly competitive prices and reliable launch services owed to the use of heritage components flown for hundreds of missions over the past several decades. 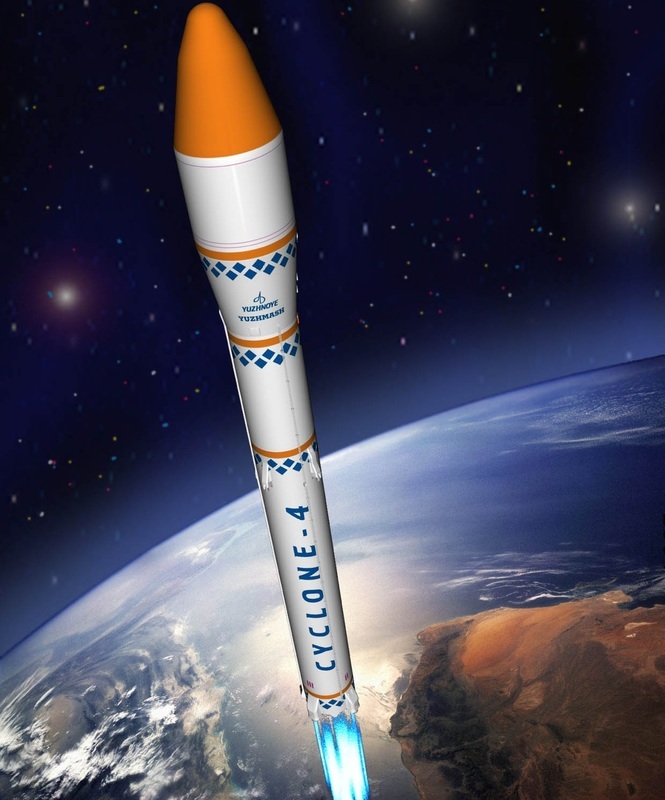 A North American launch base would open Cyclone 4 up for the launch of U.S. payloads which currently have to seek approval when choosing a foreign launch vehicle and also face strict export control regulations. 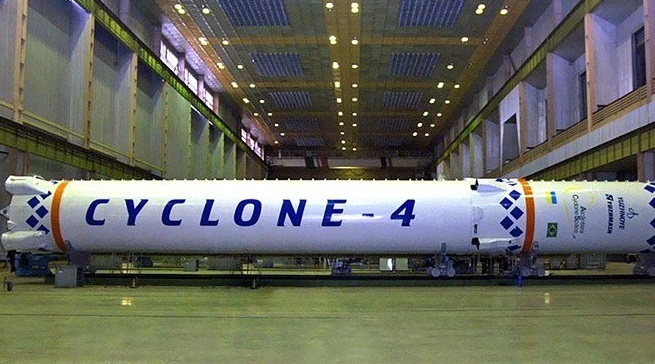 Yuzhnoye says Cyclone 4 will be available for $45 million per launch and can lift up to 3,700 Kilograms into Sun Synchronous Orbit, making it suitable for the heaviest Earth observation and weather satellites. According to Yuzhnoye, the design work on Cyclone 4 is complete and the production of the first flight vehicle is being finished by rocket manufacturer Yuzhmash. Yuzhnoye and Yuzhmash is a pairing of companies that has been in place for decades for a variety of projects such as Dnepr, Zenit, Cyclone-2 & 3 and more recently Antares. Yuzhnoye and Yuzhmash recently stepped away from an agreement with Brazil after over a decade of funding struggles and technical challenges. The bi-national project had been initiated in 2003 with the goal of launching the Cyclone 4 rocket from the Alcântara Space Center. After aspirations of an initial launch in 2006 turned out to be no more than wishful thinking, construction at the launch site finally began in 2010. Construction of the launch infrastructure and ground support systems continued despite reports of funding issues on both sides until, in 2013, progress at the site stopped and the majority of the workforce was let go. By early 2015, work had apparently come to a complete stop in the Ukraine and Brazilian sources reported that the Alcantara launch site was abandoned. 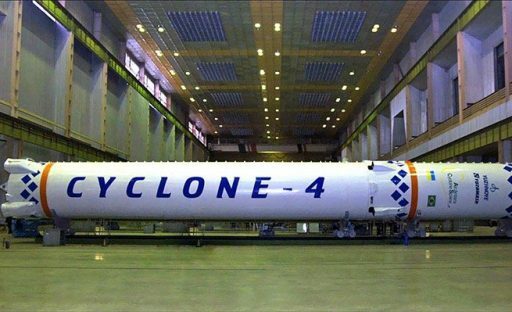 A launch base in North America would give Cyclone 4 access to a profitable market and is hoped to provide some financial relief to a challenged space industry in the Ukraine which suffered heavily from the political situation between Russia and the Ukraine. In recent years, Russia has significantly reduced its reliance on Ukrainian components on the Soyuz/Progress spacecraft fleet and Yuzhnoye’s Zenit rocket essentially stopped production after being dropped from the regular launch schedule for Russian payloads. Cyclone-4 is largely based on the Cyclone-3 that itself uses heritage of the Cyclone-2 rocket that first flew in 1967 and made over 120 flights with a good success rate. The Cyclone-3 rocket flew over 120 times between 1977 and 2009 when the Tsiklon project was retired from Russian Cosmodromes. The Cyclone-4 design largely builds on the Cyclone-3 using an identical first and second stage, but modified third stage with improved engine and larger propellant tanks. Other changes include the use of a much bigger payload fairing to fit large satellites, and the introduction of modern flight control systems. Overall, the three-stage Cyclone-4 rocket would stand 40.2 meters tall with a total launch mass around 200 metric tons, using Unsymmetrical Dimethylhydrazine and Nitrogen Tetroxide propellants on all stages. The first and second stage are three meters in diameter while the third stage is widened to a diameter of 3.98 meters. Powered by three two-chamber RD-261 engines and a four-chamber RD-855 vernier engine for steering, Cyclone-4 would have a total launch thrust of around 295 metric ton-force. After a burn of two minutes, the first stage would hand over to the single 976kN two-chamber RD-262 engine and four-chamber RD-856 vernier engine of the second stage that burn for a little over two and a half minutes. The third stage of Cyclone-4 is based on heritage components, but uses a wider diameter to create larger propellant tanks and it employs a vastly improved RD-861K engine that delivers 77.4 Kilonewtons of thrust and provides re-start capability for a total burn time of nearly 11 minutes. Launching from Alcantara, Cyclone-4 was expected to be able to deliver 5,700 Kilograms into a circular equatorial orbit at 200 Kilometers, 3,900kg into a Sun Synchronous Orbit and 1,600kg into a Geostationary Transfer Orbit. Cyclone’s design will represent the greatest challenge in finding a suitable launch site. With well over 150 metric tons of highly toxic hypergolic propellants in its tanks, the vehicle will not be allowed to launch from any location near populated areas and environmental considerations for the event of a launch failure are also an important factor.